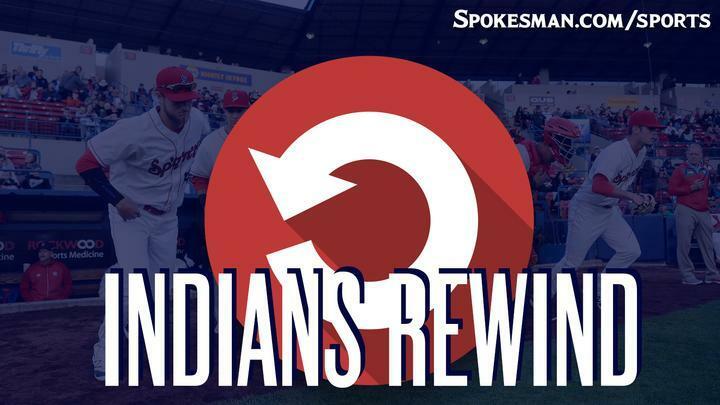 The big play: Gardner’s soft liner just out of the reach of Tri-City’s shortstop propelled the Indians to their big inning – and it all happened with two outs. The Indians eventually chased TC starter Adrian Martinez before the first inning was over. The Good: Latz bounced back from a subpar outing on June 28 to lead the Indians in this one. The home run allowed in the fifth will mar his otherwise strong performance, but he’s learning how to pitch again after three years mostly off and gaining confidence every time. Special Mention: Both relievers, David Lebron and Emmanuel Clase, sparkled. Lebron went three innings and allowed just a walk, while Clase struck out two in the ninth, hitting 99.5 on the radar in the process, to earn the save. The Bad: Tyler Depreta-Johnson booted a routine grounder at third, his third error of the season. He also made a spectacular play later in the game, diving to his left to snare a grounder, got to his feet and made a strong throw to get the runner. He’s a glove-first guy and while very special at times, he’s been inconsistent early on. The Ugly: J.P. Martinez. The speedy outfielder went 0 for 4, didn’t make good contact and watched his average drop to .179. He is four for his last 20, which actually raises his average, and has walked once in his last seven games. The Takeaway: Latz, the Rangers fifth-round choice in last year’s draft, feels like he has something to prove and will be a fascinating watch as the season progresses. Next Game: Indians vs. Tri-City on Thursday at 6:30 p.m. at Avista Stadium. Published: July 5, 2018, 11:55 a.m.